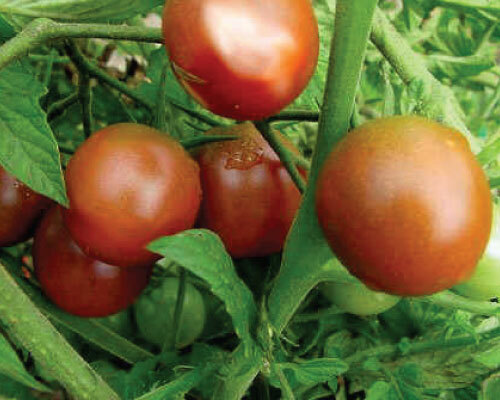 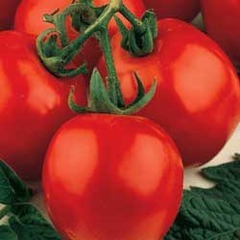 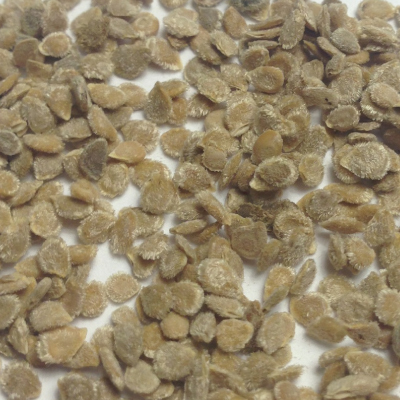 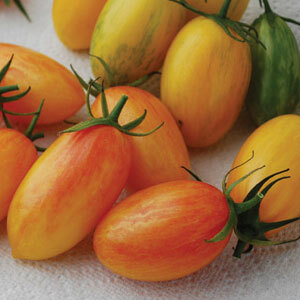 Shop a wide variety of tomato seeds and plants. 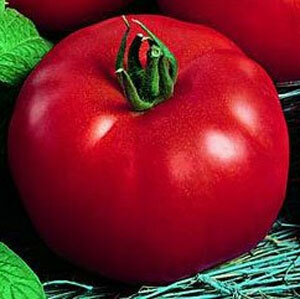 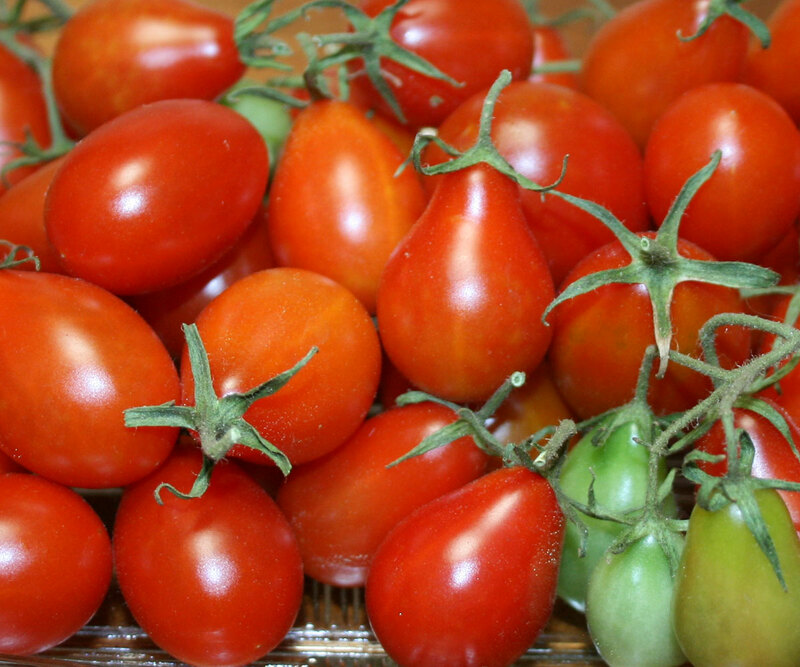 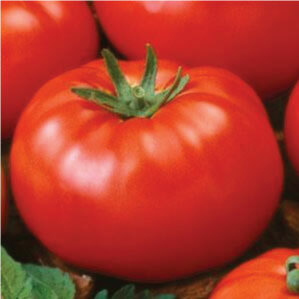 Several colors, sizes, shapes and taste you are sure to find some tomatoes that will work for you. 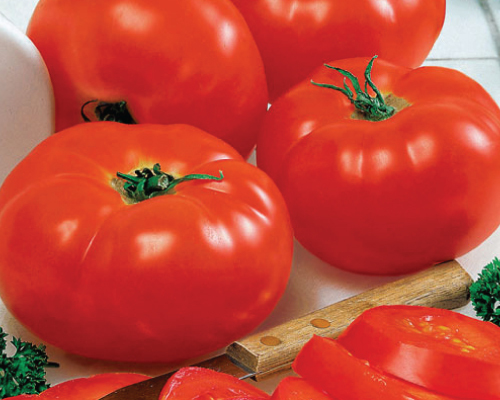 Choose from cherry, beefsteak, slicers, roma and more! 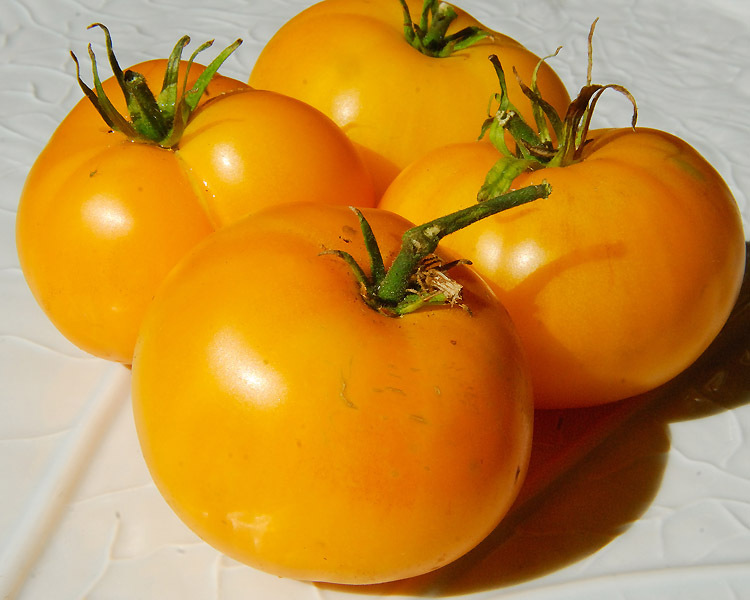 The delicious large Tasty Evergreen Tomato is an heirloom that ripens to grapefruit yellow with a lime-green flesh, giving it a very sweet flavor. 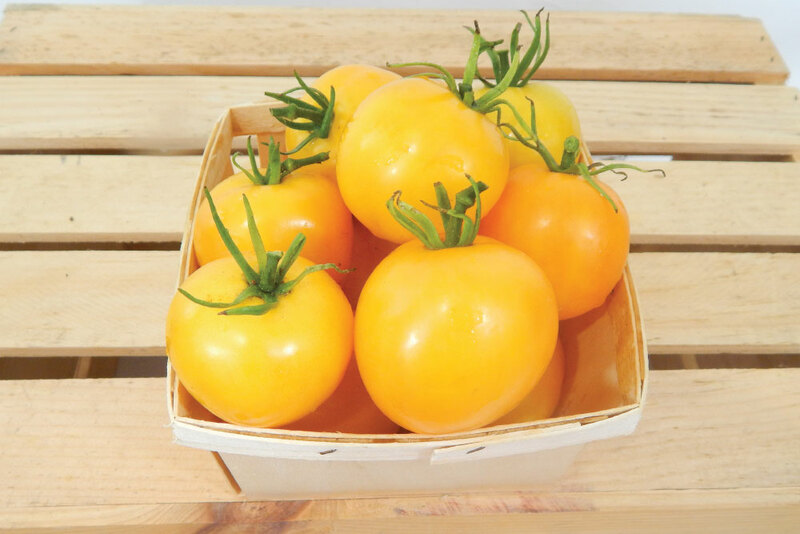 The Taxi Tomato is an attractive, sweet flavored, vibrant lemony-yellow tomato variety that grows to be the size of a baseball! 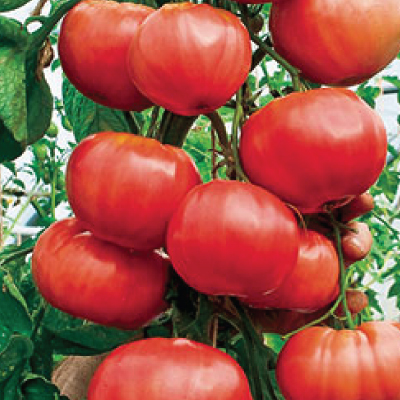 The Trip-L-Crop Tomato is an extremely long and productive heirloom tomato plant variety that thrives in a greenhouse setting! 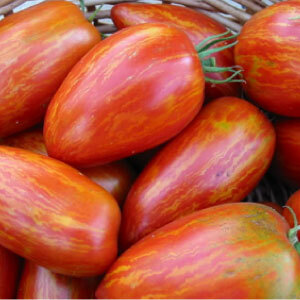 The Vintage Wine variety produces big pink colored tomatoes with golden stripes that have a great tender, sweet and mild flavor. 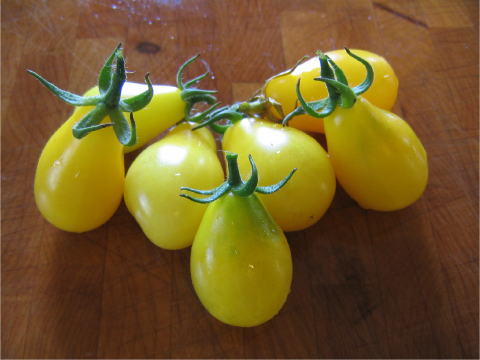 The Yellow Pear Tomato variety is very popular for both home gardens and markets, as it is as rich in vitamins as it is flavorful! 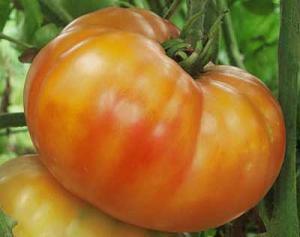 The Abe Lincoln Tomato is a popular heirloom variety with very good disease resistance that has been a farm favorite since the 1920's! 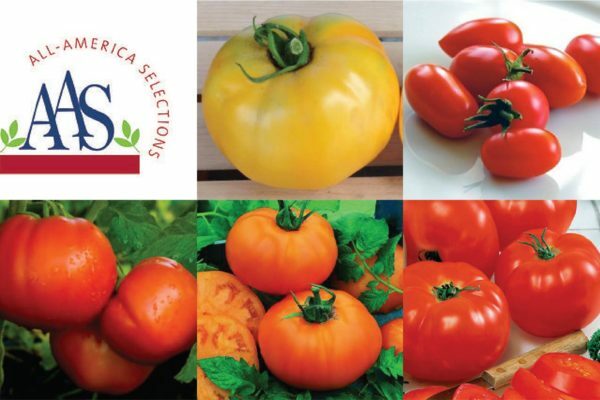 The All American Selection Collection is a mix of our favorite AAS winners including Golden Jubilee, Juliet, Celebrity, Chef's Choice Orange and Big Beefy! 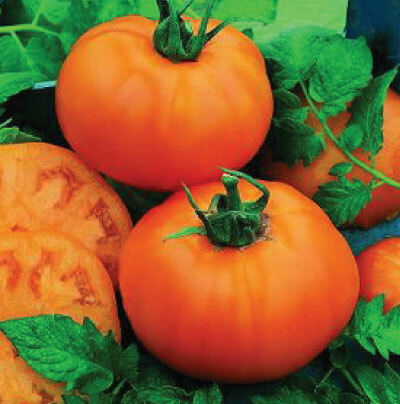 The Amana Orange Tomato is a giant 1 pound beefsteak with a unique bright orange skin and a very juicy with an intensely flavored flesh! 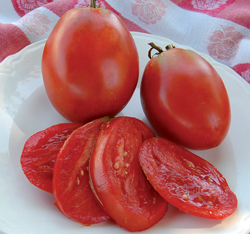 The Amish Paste Tomato is an excellent tomato with a wonderful, juicy taste for making tangy sauces or sliced for fresh eating! 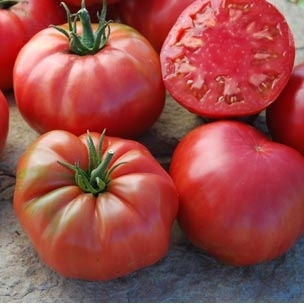 The Ananas Noir Tomato, or also known as the Black Pineapple, is a beautiful, super sweet tomato originally from Belgium. 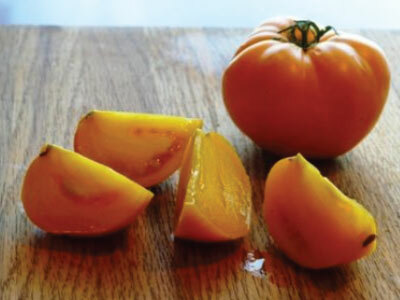 The Anna Russian Tomato is a delicious and beautiful heirloom oxheart-shaped tomato that was brought over from a Russian immigrant in the 1980's. 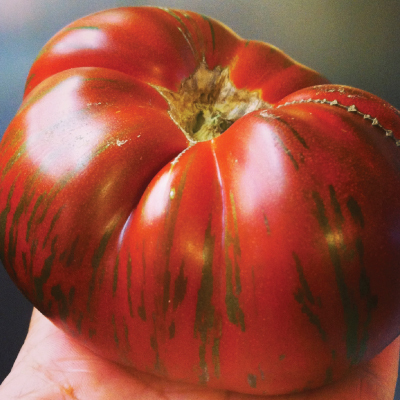 The Aunt Ginnys Purple Tomato is a highly productive, beautiful oxheart shaped, heirloom with German origins that has a delicious flavor. 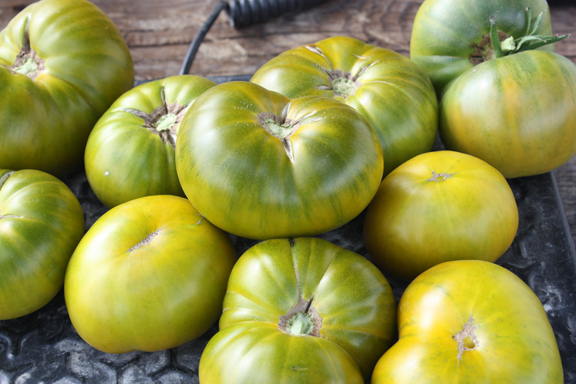 The Aunt Ruby German Green Tomato is an old time favorite heirloom favorite for the garden that has an unmatchable juicy and spicy flavor! 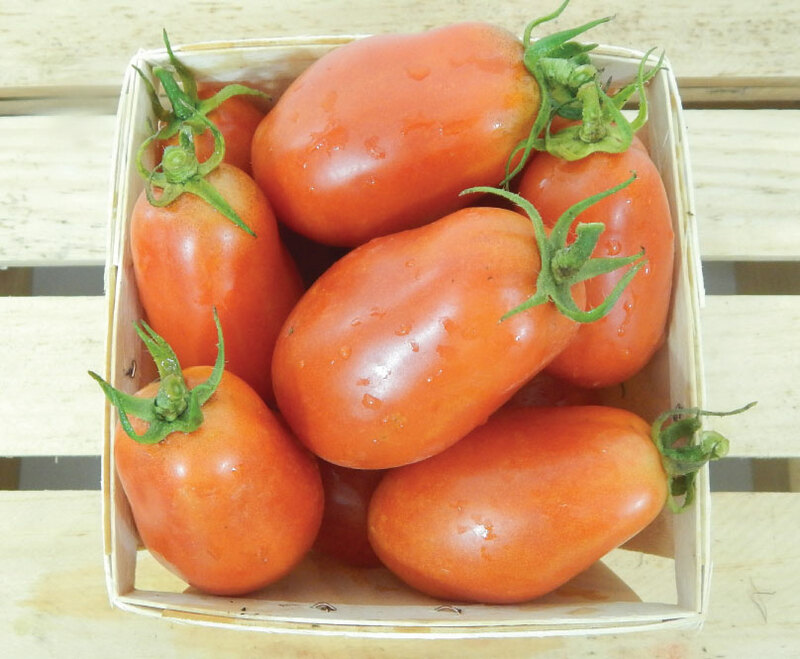 The Azoychka Tomato is a highly productive Russian heirloom that produces good yields of smooth, sweet and citrusy tomatoes. 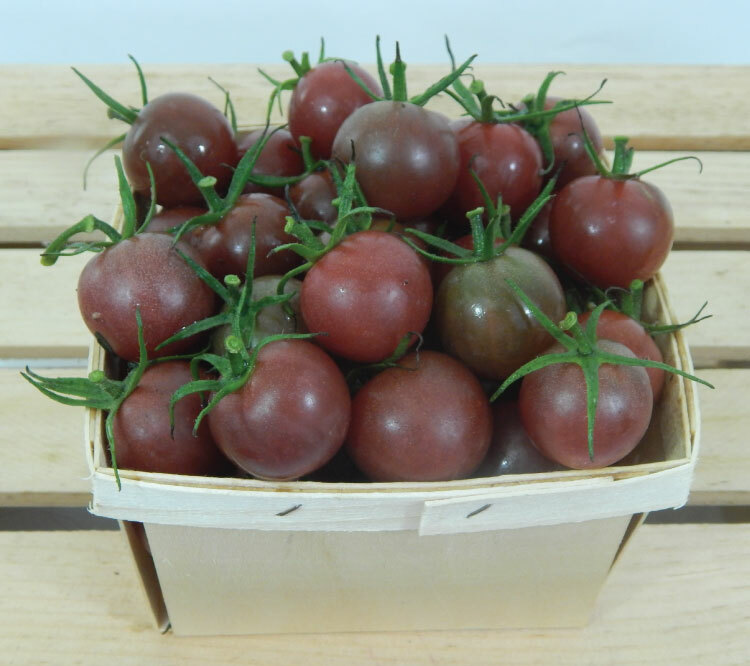 The Baby Roma, also known as the "Cherry Roma," is a miniature roma-shaped tomato that is bursting with an intense sweet flavor. 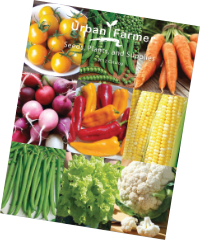 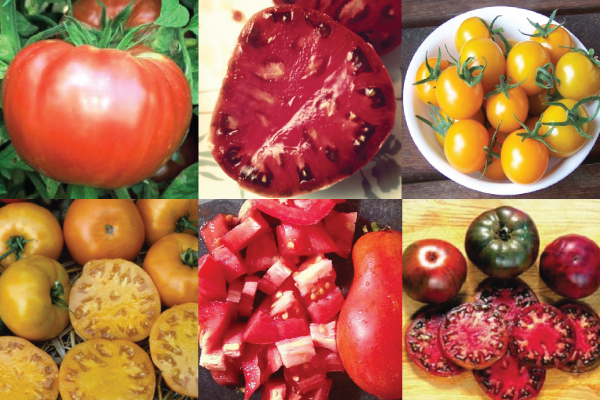 The Best Tasting Collection has the most popular, best tasting tomatoes such as Golden Jubilee, Cherokee Purple, Brandywine, SunSugar, Black Krim and Roma. 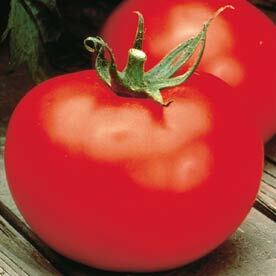 The big, meaty, red Better Boy Tomato grows to be at least 8 ounces and higher. 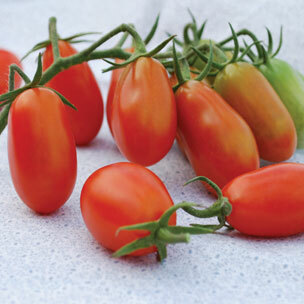 Urban Farmer grown Better Boy tomato plants that arrive ready to plant. 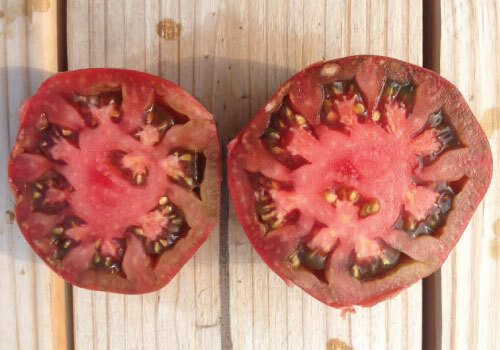 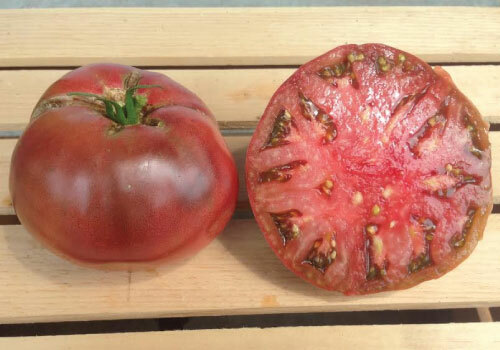 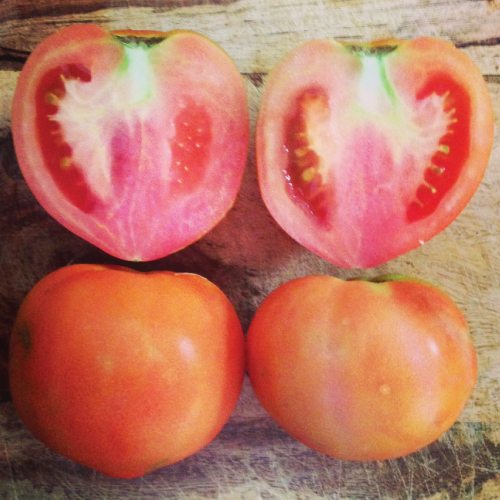 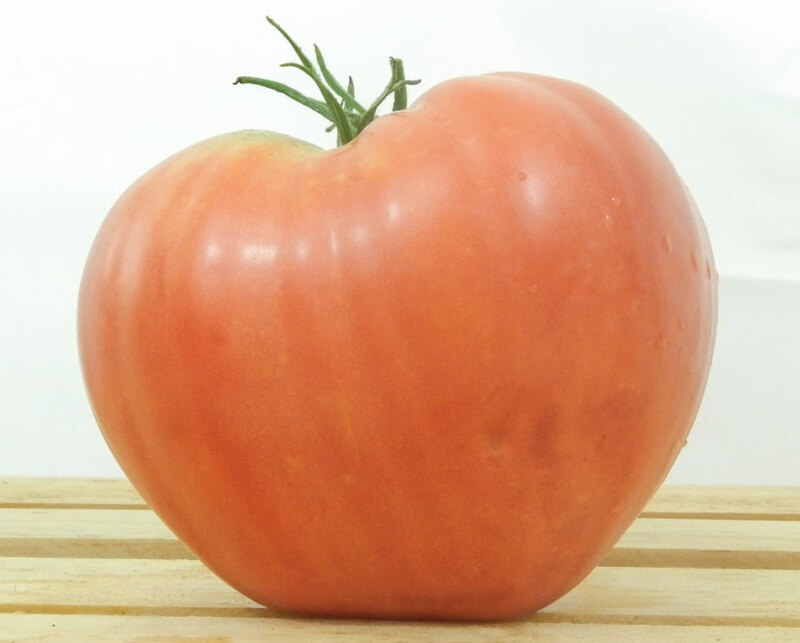 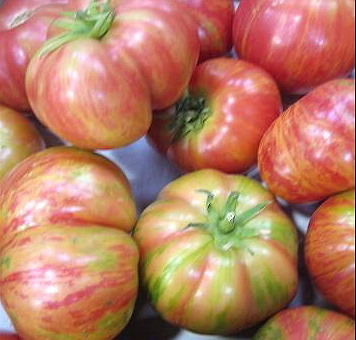 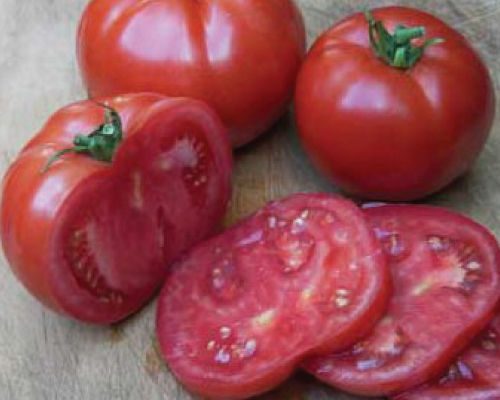 The Big Beef Tomato is an All American Selection winner beefsteak. 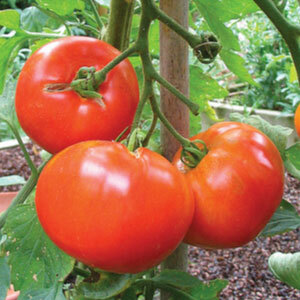 Urban Farmer grown Better Boy tomato plants that arrive ready to plant. 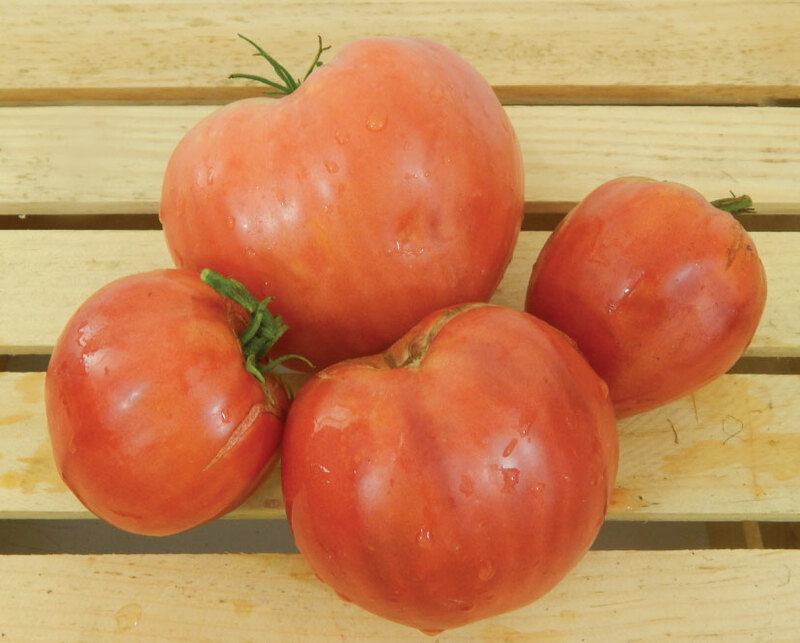 The Big Beef Tomato is an All American Selection winner that has been a farm favorite beefsteak tomato variety for a reason! 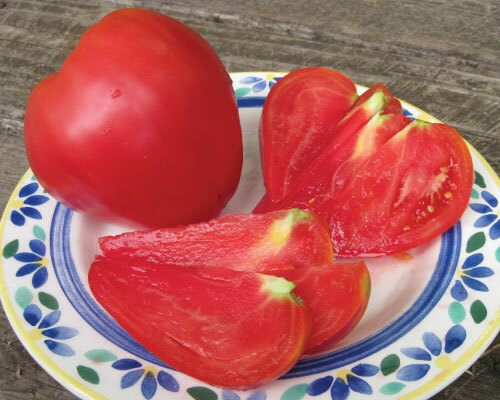 The Big Rainbow is a very beautiful and absolutely large tomato that has an over-the-top flavor that you just can't get enough of! 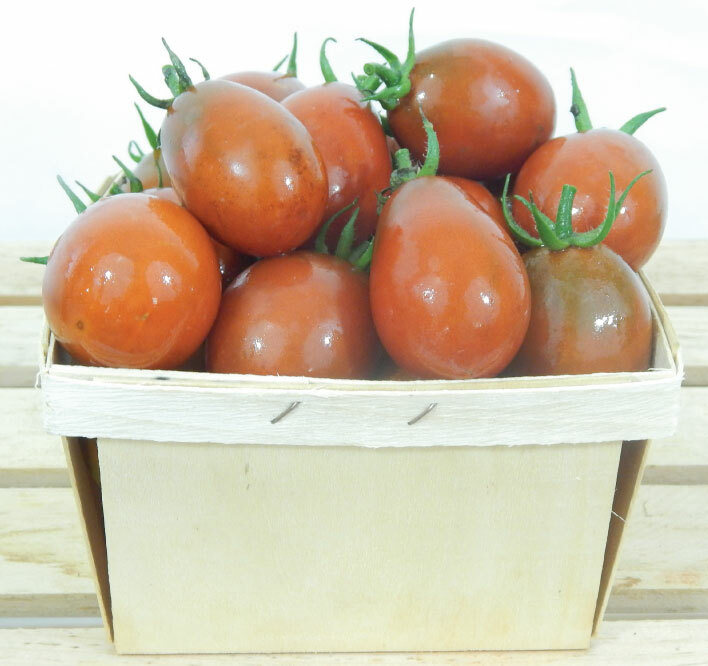 The Black Cherry is an irresistibly delicious treat with sweet, rich, complex and full tomato flavors that will just burst in your mouth! 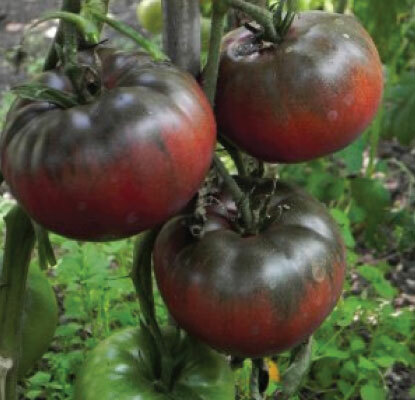 The Black from Tula Tomato is widely known as one of the best flavored dark tomatoes and when mature, this variety grows up to 14 ounces. 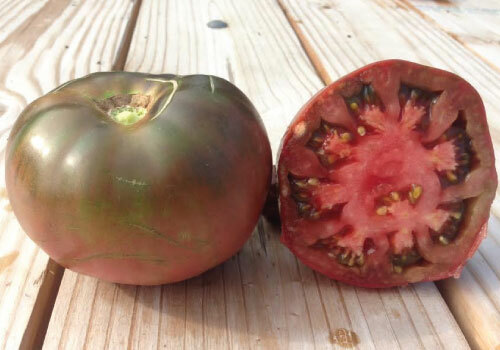 The Black Krim Tomato is a popular dark purple Russian heirloom with slightly black shoulders that has a rich, sweet flavor! 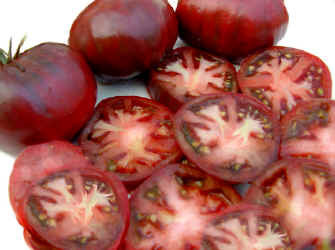 The Black Plum Tomato is a heavy producer and a favorite plum-shaped tomato variety for making different salsa or sauces. 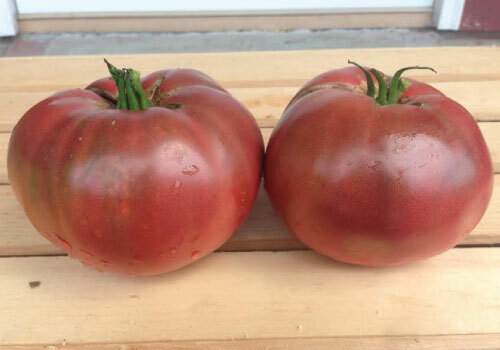 The Black Prince Tomato is an attractive dark red and black colored juicy Russian heirloom tomato that has a rich distinctive flavor! 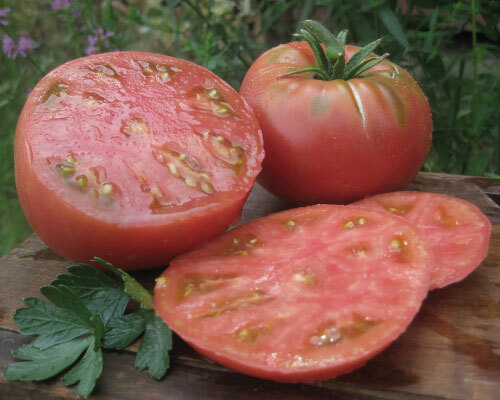 The Black Sea Man Tomato is a fantastic tasting Russian heirloom that has a wonderful rich flavor when added to different dishes. 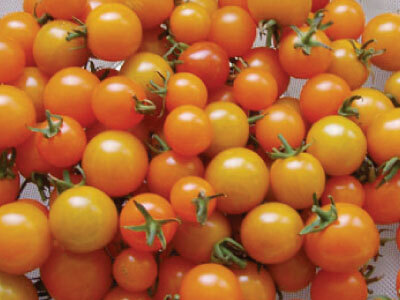 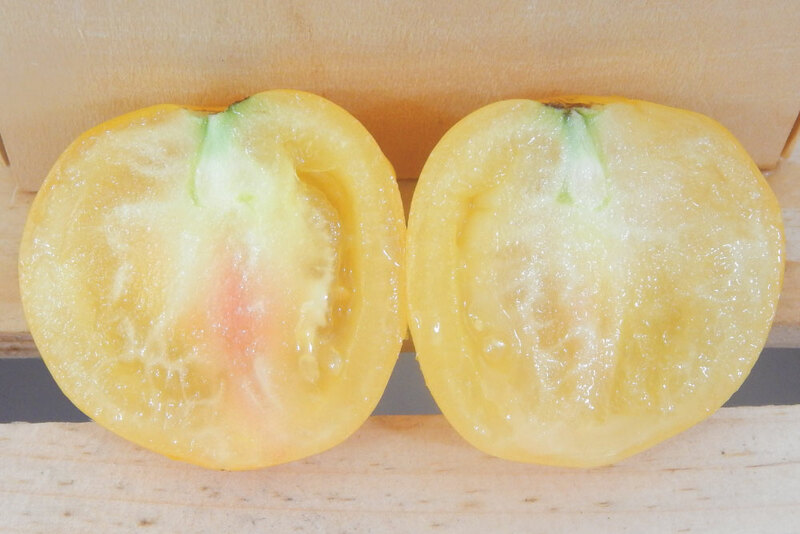 The Blondkopfchen, aka Little Blonde Girl, is a delicious heirloom cherry tomato that comes from East Germany and has a delicious sugary flavor. 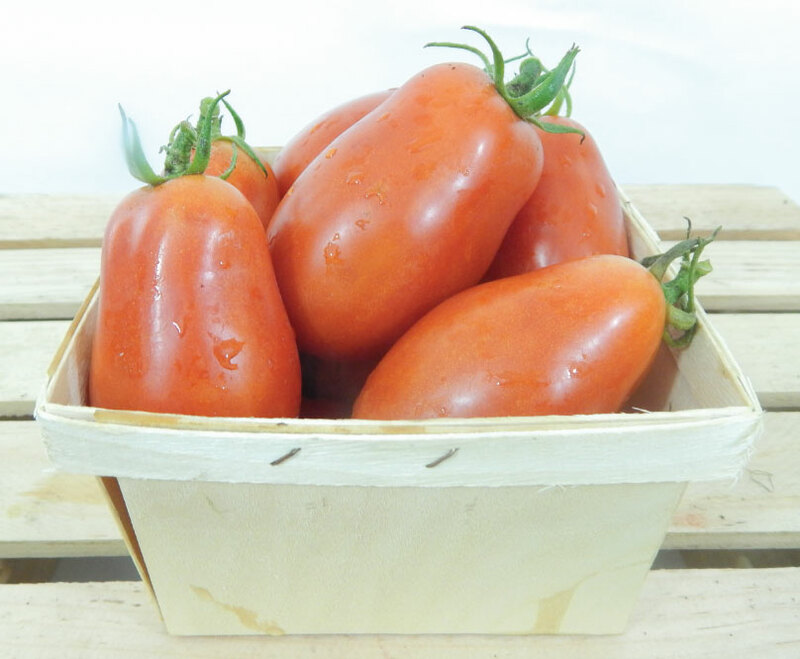 The Blush Tomato is part of the beautiful and tasty Artisan tomato collection and has a sweet, fruity flavor that is great for fresh eating. 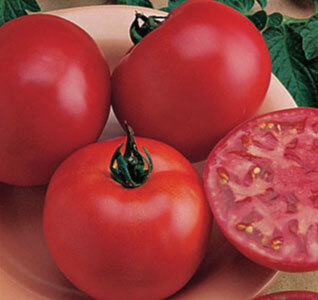 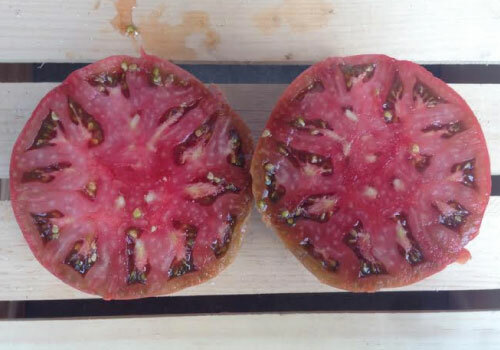 The Bradley Tomato variety is a a reliable, productive plant that has fairly good cover, producing attractive, smooth pink fruit with a tasty mild flavor. 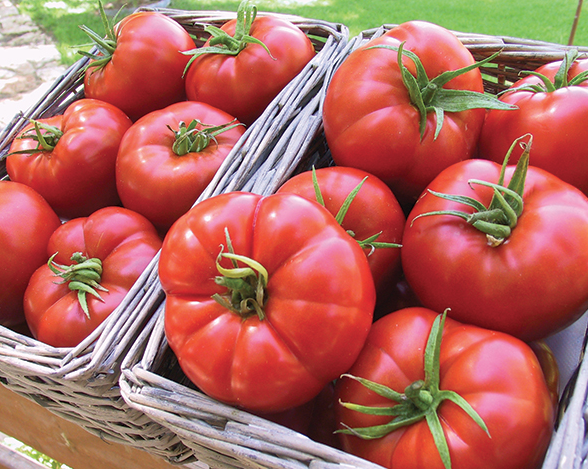 The classic Burpee's Bush Big Boy Tomato is the same large, juicy favorite but has been made even better, especially for small-space gardeners. 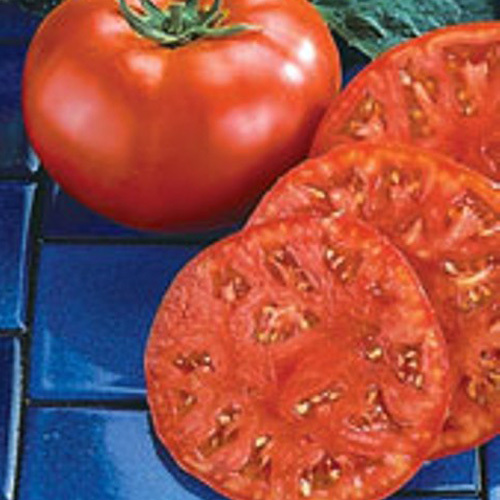 The Carbon Tomato won the “Best Tasting Tomato Award” at the Heirloom Garden Show in 2005 and continues to rate very high in many taste tests! 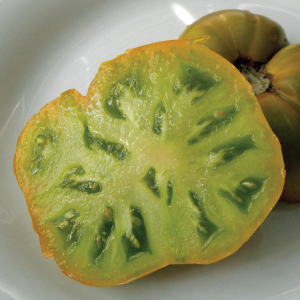 The Caspian Pink Tomato is a beautiful tomato variety that originally comes from Russia and was brought to America shortly after the cold war ended. 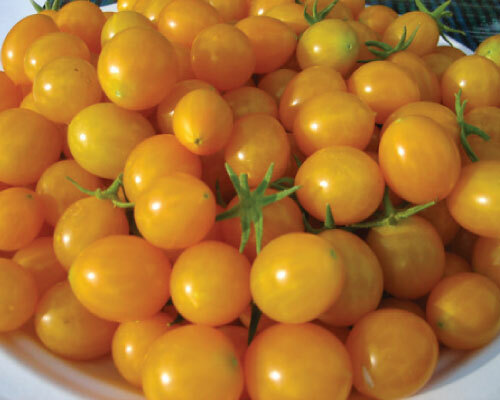 The Chef's Choice Orange Tomato is an All American Selection winner that is a prolific producer of juicy, bright orange tomatoes. 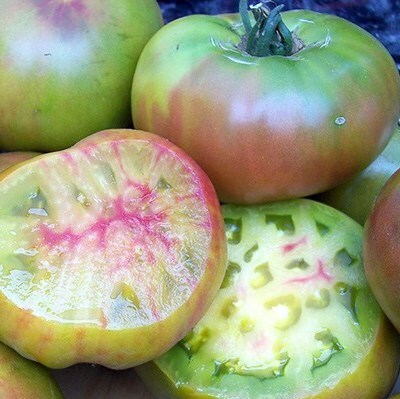 The Cherokee Purple Tomato will keep producing all summer long. 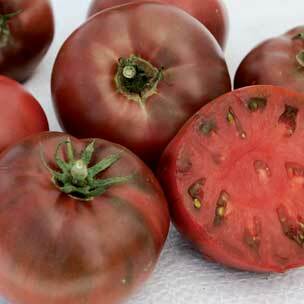 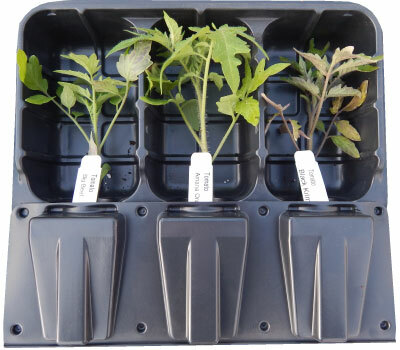 Urban Farmer grown Cherokee Purple tomato plants that arrive ready to plant. 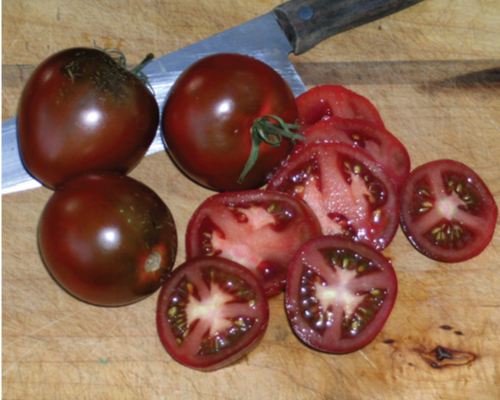 The Cherokee Purple Tomato is an indeterminate tomato that will keep producing all summer long and into the first frost in fall time. 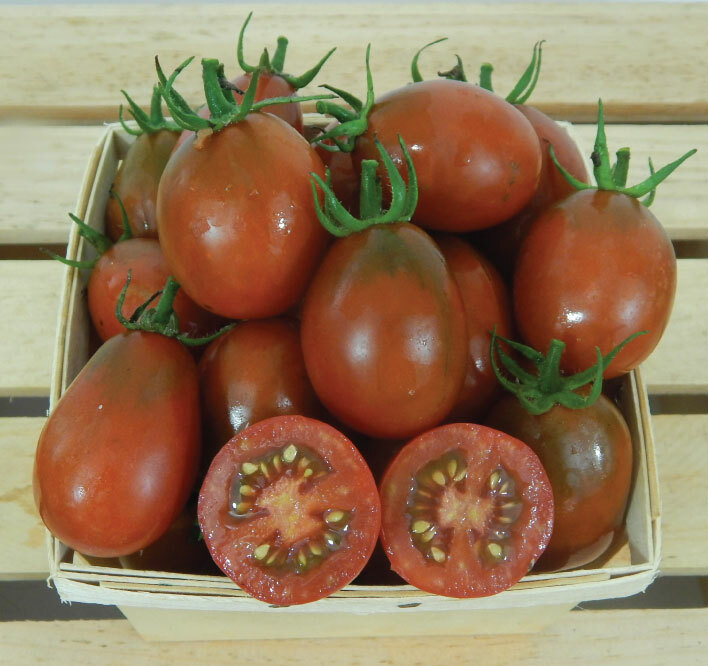 The Chocolate Stripes Tomato is an attractive rich chocolate mahogany colored tomato with dark brown stripes, making it a real beauty!